Hello, I hope you're having a wonderful weekend so far. I'm hoping to pop out and find some valentines day chocolate on sale and maybe even score a bunch of flowers too. Valentines Day isn't really my thing, but you can't go wrong when there are potential chocolate bargains to be had the day after. This week I gave sailboat a little bit of refresh, something a little brighter for the Spring. Mostly I was avoiding essay related nonsense, but I'm also pretty happy with the outcome. I've been collecting together some old photographs from Mark's family and from mine to put into two matching frames. Progress on the house has been slow going recently, there are quite a few things we'd like to do but it all takes time and money. We'll get there, but in the mean time I've been focusing on little touches that add to the homeliness but don't cost the earth. I love this old photograph of my mama, her bunny looks much better behaved than Ralphie is, although perhaps equally as grumpy! I didn't receive a Glossybox this month, but it looks like it was a pretty good one so I'm a little sad I missed out. However the February My Little Box* is super cute and more than made up for it. I don't think I'll get much use out of the beauty products (a brow pencil, oil blotting papers, an eyeliner & a complexion enhancer) but the little extras are adorable. There's a little smartphone case which I think I'll keep my ipod in, and a little jar full of tiny rolled up pieces of paper with quotes on them. So cute and very unique. My favourite thing about My Little Box is that I never know quite what to expect, they're full of surprises! 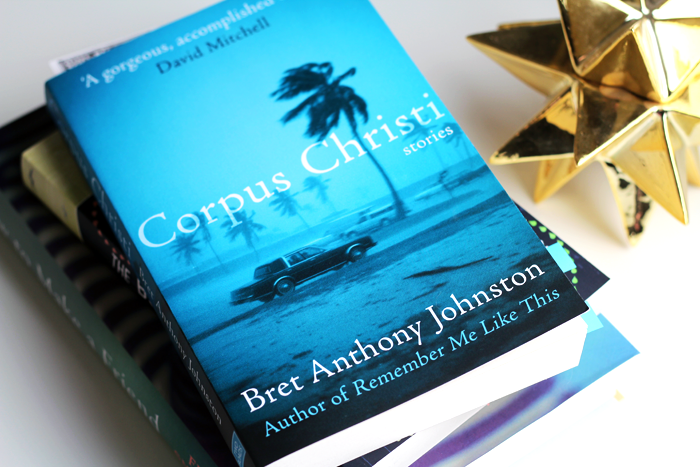 Corpus Christi, a collection of short stories by Bret Anthony Johnson arrived on my doorstep a few days ago and I couldn't wait to immerse myself in the stories of people living in this town in Texas that is often hit by hurricanes. I'm a couple of stories in at the moment and it's every bit as atmospheric and emotional as I had hoped it would be; a really intricate exploration of human relationships. Alas, it's back to essay planning for me... after that Sunday morning corner shop run of course. Got to bribe myself with some sweet treats to keep up the momentum afterall, right?! Are you having a nice weekend? I hope so! I totally didn't think of post-valentines chocolate sales! I will go hunt for them at earliest opportunity, haha. Chocolate + sales = amazingness! I'm doing Slimming World so avoiding too much choc unfortunately, but I did get a lovely box from the boy that I scoffed yesterday! Your mum is so beautiful! I love old photographs, they always give me the warm and fuzzies. Your mom is gorgeous! Also, good luck with your essay planning! I love reading your little life updates, Jennie. Good luck with the home DIY - I know what a pain it can be trying to get your home to exactly how you want it, especially when you're struggling against finding the time and the money. I've been focusing on little tweaks to try and make a big difference - the next project is actually buying frames so I can hang some of the lovely prints I got for Christmas (shameful, I know) and put up a shelf in our bedroom for some little knick-knacks. p.s. 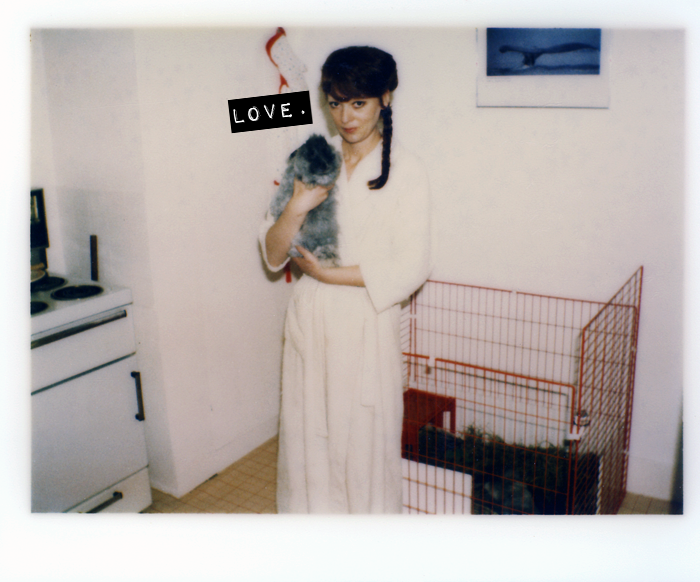 I love that your mum also used to have a bunny! I love the chocolates in the sale as well :P And My Little Box this month was adorable! 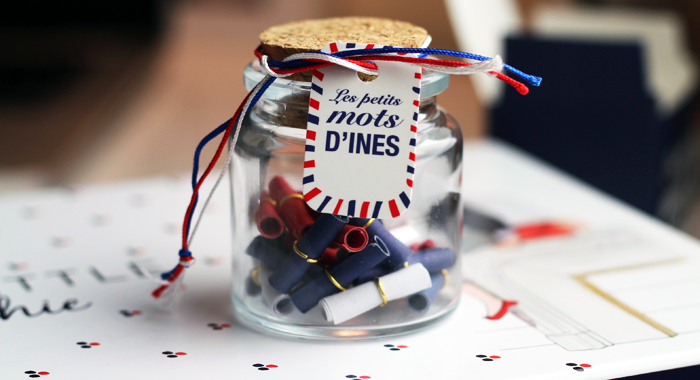 I love the little jar I'm trying to think of what to do with it once I've finished opening all the little notes.